Alpha Omega staff members are, first and foremost, hired based upon their quality as a person. They may or may not have a gymnastics background, but they do have a very proven background in working with children. They have a great, kid-friendly personality that inspires their students for life-long adventures. All staff members undergo a thorough screening and background check. Those that make it through the six-part hiring process are trained through observation, shadowing, hands-on clinics, and various online courses through USA Gymnastics, the US Olympic Committee, etc. Greg began his gymnastics career in 1981. He has been involved with all aspects of the sport. He has been a competitor, men's gymnastics judge, recreational instructor, competitive coach, business manager, and administrator. But most importantly, Greg is very passionate about working with kids and creating a very fun and exciting experience for them. In 2017, after 12 years, Greg decided to leave corporate america and return back to his life's passion. He partnered with his friends in Houston in order to bring a very high quality, fun, & exciting gymnastics program to Allen, McKinney, and the surrounding areas. Greg resides in Allen. He has been married for over 26 years to Catherine and has 3 daughters and a grand son, with more to come. He is a Deacon at his church, an Internationally rated men's gymnastics judge, and enjoys spending his time off with family. Catherine grew up in small farm town in Illinois. She attended the University of Illinois at Chicago where she earned a Bachelors in Social Work and also met Greg. 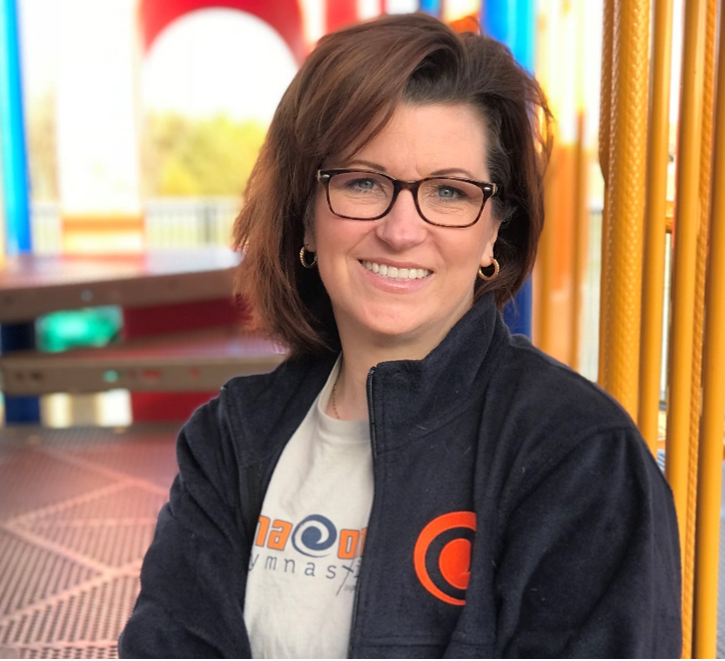 She and Greg started working together at a gymnastics gym in Mesquite and then moved to the Plano/Allen area where she taught tiny-tot, preschool, and beginning girls gymnastics. She is the mother of 3 girls and Nana to Weston. She has worked in and volunteered in various pre-school/childcare settings her entire adult life. She spent 8 years as a substitute teacher for middle and high schoolers, spending much of that time in special needs classrooms. She currently cares for an elderly couple part-time and also is a nanny for two school-aged boys. Allie is Greg’s middle daughter (and she claims, his favorite). She grew up all around gymnastics and has always enjoyed the preschool and recreational side. Her Dad's judging career helped her develop a love for watching men’s gymnastics. Allie had always wanted to have a career that involves working with children. She currently works at Cottonwood Creek Church as the 2s & 3s Preschool Ministry Director and also works at AOG. Allie graduated with a degree in Child Development from Texas Woman’s University. Her hobbies include watching movies, playing with her cats, and hanging out with family and friends! ​Linda is a native Texan. Linda has a degree in Interior Design and Business. Linda has always loved sports and has enjoyed playing volleyball, softball, kickball and soccer. Linda is married to Bruce and has three children, two girls studying at Texas A&M University and one son at Allen High School. Linda met Greg and Catherine in 1996 at church and have been good friends ever since. Linda‘s hobbies include vacationing with her family, any outdoor activities, walking her dogs, using her creative brain when possible and watching her children progress through their lives. Amanda was Alpha Omega McKinney's first hire. She started with Alpha Omega in December, 2017. She was born in California and raised in Texas for most her life. Amanda has been working with kids since she was 14 and adds a fun-loving nature that inspires kids to learn and grow. Her hobbies include reading, painting, drawing, and sports of all kinds, especially gymnastics! David grew up in McKinney, Texas. He has been around sports his entire life: namely baseball and volleyball. His love for gymnastics stems from the University of Georgia Gym Dawgs, having watched them for years. 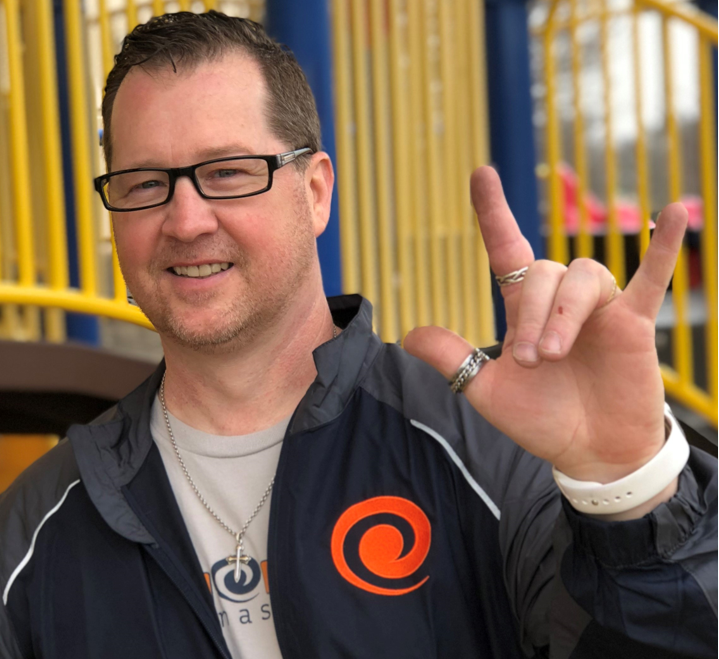 He has worked with children through McKinney ISD, various church groups, and summer camps. 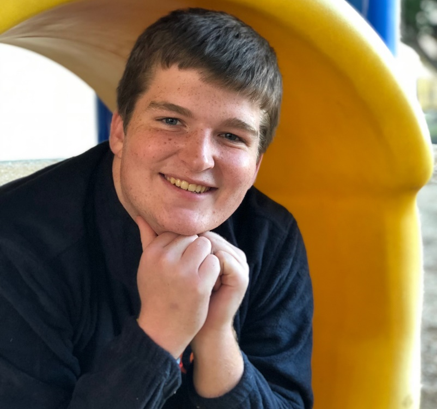 While his favorite sport is volleyball, he thoroughly enjoys teaching kids about athletics of all kinds, and inviting them to use all of their strengths including mind and body. He is a USAVolleyball certified coach for the Junior Girls division and coaches a wide variety of ages. He also loves to read and will discuss any topic you bring to him. While he's not coaching volleyball or gymnastics he is often found having a conversation with good friends or sleeping. Mary-Kate has grown up helping and teaching kids through her mom’s job as a kindergarten teacher. From writing name tags to preparing the classroom for teacher's night, a passion for creating an environment for kids to have fun whilst learning has emerged. 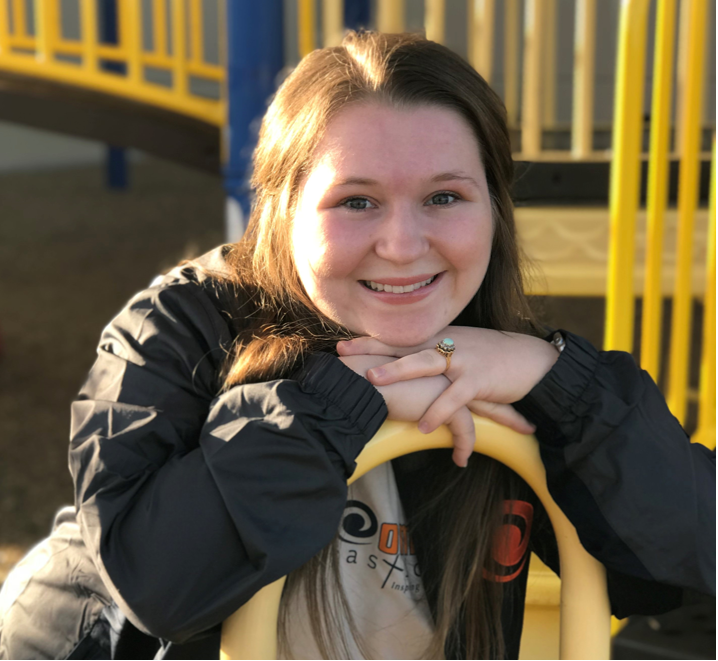 Mary-Kate has lived in Allen, TX all her life, playing softball and volleyball as she grew older. She loves to be able to bring smiles to kids faces whether be by cracking a joke or dancing silly. Mary-Kate is kind, encouraging and loving. But most of all, Mary-Kate is excited to see your kids having fun at Alpha Omega Gymnastics. Joshua has been coaching students of all ages in swimming and gymnastics for just over eight years. We picked him up while he was working alongside Allie in the Children’s Ministry, when we saw just how much he cares for each individual child and impressed us with an amazing talent for making gymnastics fun, safe and engaging for every student. He has lived in Texas his whole life and currently serves the U.S. Army Texas National Guard as a Chaplain’s Assistant. His hobbies include writing, animating and doing anything nerdy. 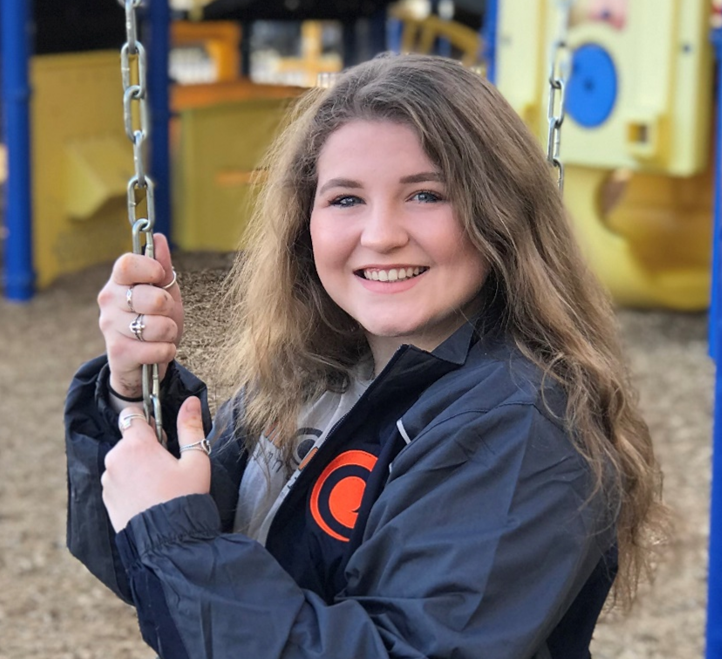 Cassidy was born and raised in Texas and has always imagined herself working with kids. 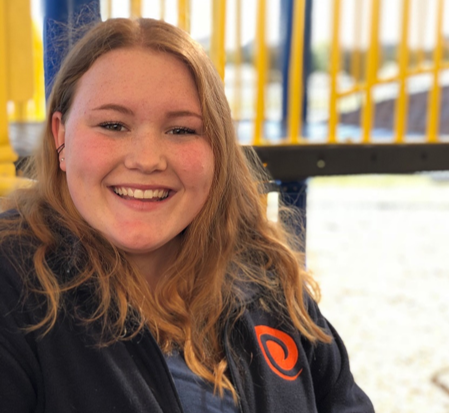 She loves the pure imagination children have and her goal is to provide a safe and loving environment for all kids to be able to express themselves! 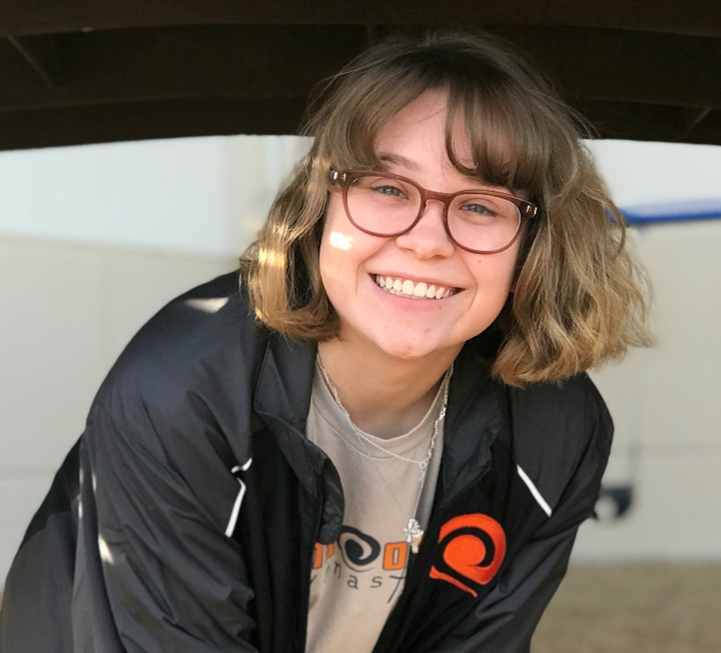 Cassidy is currently pursuing a degree in Art Education at Collin College and is so excited to see where the path with Alpha Omega takes her. She is so proud to be a part of the Alpha Omega family and can’t wait to meet and teach the kids that walk into AOG's genuine and loving culture ! Sam has been in Texas his whole life, being born in McKinney and living in Lucas. His love for kids of all ages is evident with him volunteering to teaching 1 year olds and 2 year olds at church as well as 1st - 5th grade kids. Though his favorite sport is soccer, he really enjoys being with the kids, encouraging them to pursue a high goal. He enjoys helping kids achieve success. He got hired last summer for an internship in the Children’s Ministry. This was his first job experience and let him see how a business is ran and what is most important when working with kids: Safety. Sam plans to go to college for a degree in Engineering at an undecided university. His hobbies include soccer, video games, playing board games with his family (and winning), as well as doing nerdy things. Brooke was a competitive gymnast for 8 years of her life, getting all the way up to level 9. She has a passion for gymnastics along with a love for kids. 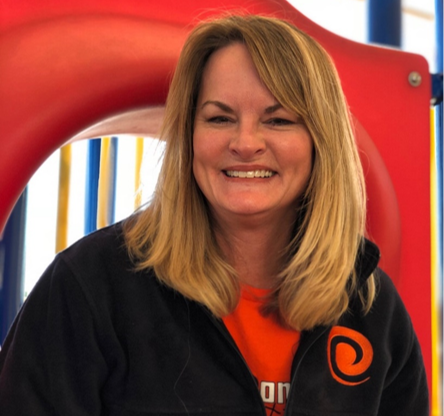 In her spare time, Brooke volunteers in the 2’s Preschool Ministry at Cottonwood Creek Church and at the SPCA of Texas. Brooke has experience from previously working at another gymnastics facility and cherished getting to spend her time working with kids. Brooke is currently attending Allen High School. She is very hard-working, caring, and loving. When not coaching or at school, Brooke is most likely to be found spending time with her friends and family. Valerie is Greg's oldest daughter. She currently lives in Anna with her husband, Ryan, and her baby boy, Weston. Her love of gymnastics started as soon as she could move around and many of her childhood memories are in a gym. She did gymnastics competitively for years, and when she was old enough, began coaching gymnastics. She coached all levels of recreational and competitive gymnastics and tumbling during high school and college. She currently works as a full-time Kindergarten teacher in Plano ISD and a part-time coach for AOG. Could this be you? We are always looking for awesome, fun-loving staff members. If you have a passion for kids and want a job that is exciting and fun, we want to learn more about you. Please call us @ 469-859-9936!